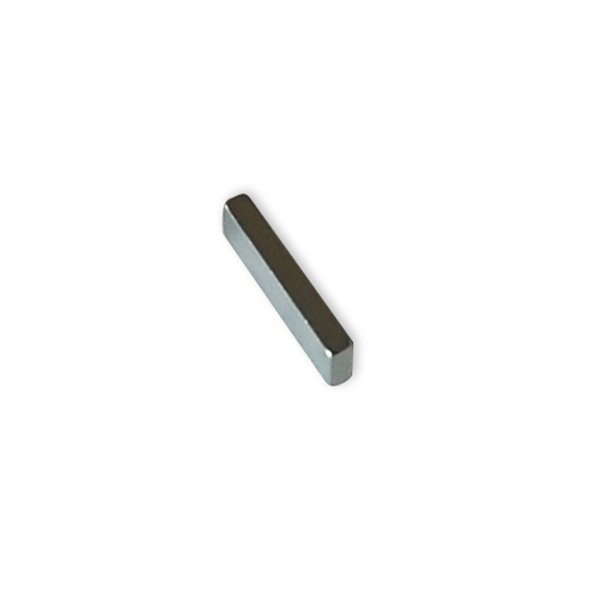 Known as the Third Generation of Rare Earth Magnets , Sintered Neodymium-Iron –Boron (NdFeB ) magnets are the most powerful and advanced commercialized permanentmagnets today. 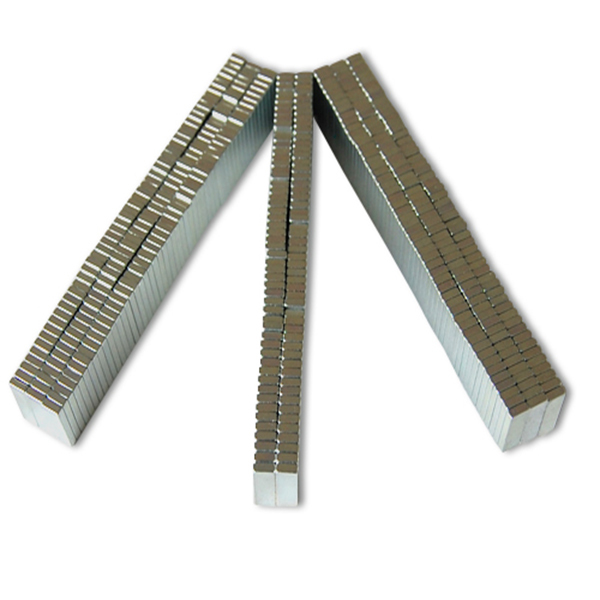 Known as the Third Generation of Rare Earth Magnets , Sintered Neodymium-Iron –Boron (NdFeB ) magnets are the most powerful and advanced commercialized permanentmagnets today. 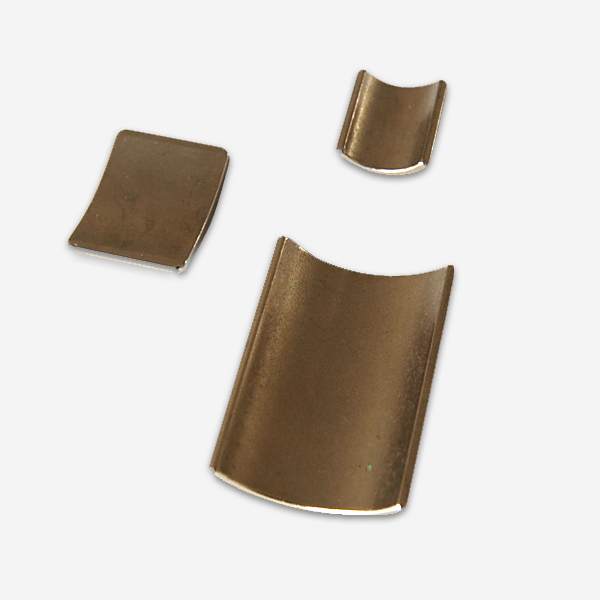 With far better permanent magnetic performances compared withtraditional magnets , sintered NdFeB magnets are becoming the key functional materials for traditional and modern industry. 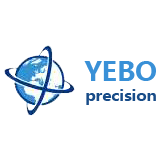 Some typical applications : Speakers , Magnetic Separators, Magnetic resonance imaging , Sensors , Brushless Motors , VCM （VoiceCoil Motor ）,Magnetic Couplings , Tape Recorders,Biasing Application ,Linear Actuators, etc . 1) Chemical composition : Nd2Fe14B .Hard , brittle and easily corrosive. 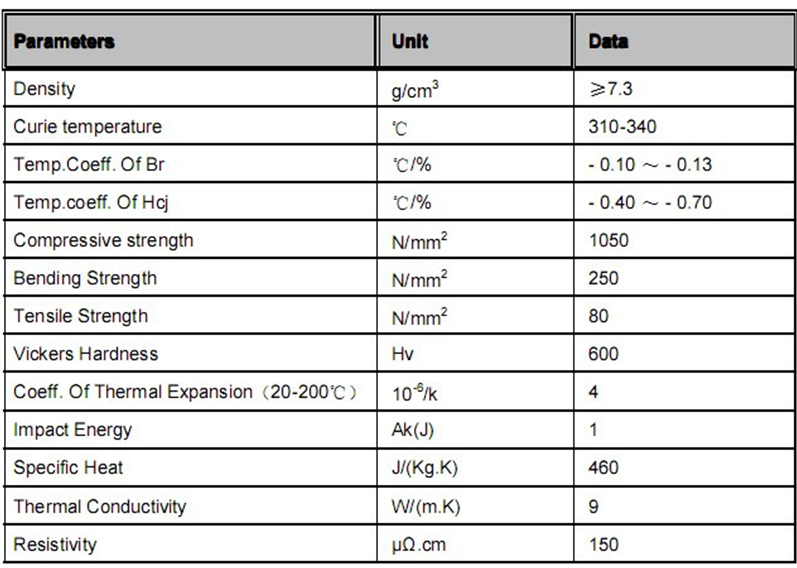 2) Moderate temperature stability Neodymium magnets lose -0.09 ～- 0.13 % of Br /℃.The Max WorkingTemperature can be up to 200℃. 3) Excellent strength value.The highest (BH)max reaches up to 52 MGOe. 4) Extremely good resistance to demagnetization with Hcj The intrinsic coercive –Hcj is up to 30 KOe . 5) Demagnetization Curve with good rectangularity .Magnetic polarization strength is almost invariable in a wild range of demagnetizing filed. Shown in rectangular coordinates , the B-H demagnetization Curve is a straight line in the second quadrant and extending to the third quadrant. 6) Low eddy current loss.Higher resistivity than Sm-Co magnets , let alone ordinary metallic materials. In alternating magnetic field such as that in the Motor , magnets have lower eddy current loss,so devices work with less heat and lower temperature rise. 7) Effective surface treatment to prevent corrosion. To improve the anti-corrosion level , surface treatment is recommended. 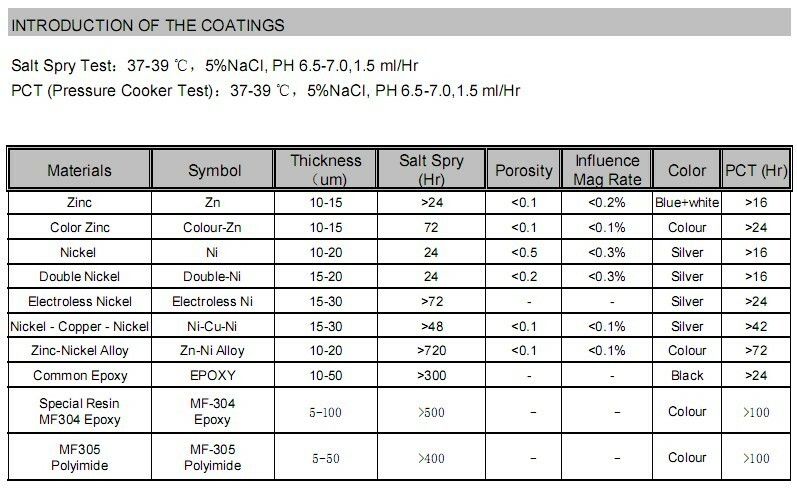 Some opitional coatings : Zn , Ni-Cu-Ni ,Epoxy , Silver , Gold , etc. 8) Favorable mechanical properties , relatively easy to machine. Customized ones are also available as per the protype drawings. Don't place magnets near person wearing electrical medical equipment,such as pacemaker , because the magnetsmay result in malfunction of the equipment and endanger person’s life.Keep magnets away from magnetic memory media or other magnetic led sensitive devices such as magnetic cards ,tapes , poppy disks , hard disk drives , and watches , otherwise big block of magnets will strongly attract each other or attract iron steel pieces , which may cause serious injure to person . The magnets may break into pieces when collide each other or with other materials . Be Careful in assembling magnets and prevent the tiny fragments entering into eyes or causing other injuries . 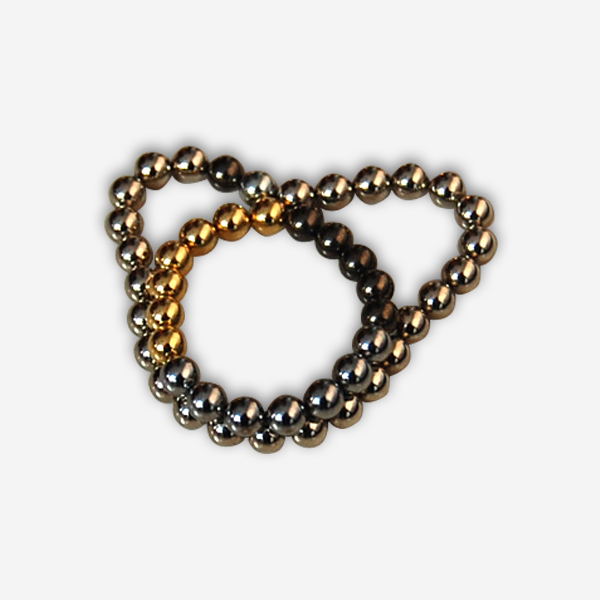 Keep magnets in good condition and avoid following environment in case that the magnets may rust or become weak in mechanical or magnetic performance .